I’m thinking of making another Butterick B5997 from this lovely bright turquoise viscose fabric. I think the top needs some kind of closure at the top of the neck opening, a button and loop or a permanent ‘strap’. This snuggly thin sweater knit I am thinking of making some thin mid layer jumper, Abderdeen (with a round neck, obviously) or a Renfrew. I have plans for this cotton Bengaline to become a pair of shorts. Possibly trying the fit of my first pair of bottoms from Burda Style magazine. I think this chambray would work well for something like the Cheyenne Tunic. 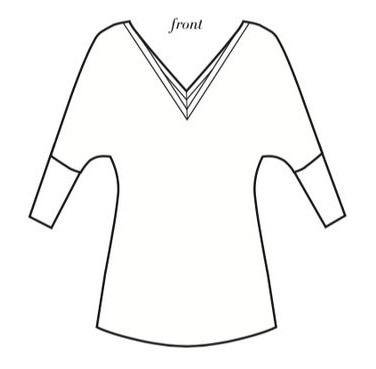 I’m thinking about modifying Butterick B5997 to have a partial placket and take out the gathers (and add a FBA). You’ve got some gorgeous fabrics & patterns planned – best of luck in getting everything sewn, and please do report back on your journey!